This second shot gives you a clearer view of that missing chunk behind home plate. It’s inevitable, and it’s stark, and it’s progress (I continue to like the new place better) – but it’s still shocking. And where did all the stuff go? A partial answer below. The slightly blurry pictures were snapped in route to my father’s memorial service, and this gives me an opportunity to thank you for the overwhelming support that poured from the comments after Saturday’s post about his passing. They were of incredible importance to me, and the members of my family, and to my father’s friends, who read them. I wish that I could somehow do them justice, but words, as they did this afternoon, fail me. Not much real sweaty research here (on my part anyway), but courtesy BaseballReference.Com we get to celebrate those three men who are just seventeen days or so away from hitting the old “I played in four decades” milestone: Ken Griffey, Jamie Moyer, and Omar Vizquel. They would swell the ranks of four-decaders (or in the cases of Minnie Minoso and Nick Altrock, five) to a total of 29. There are as noted several others, like Gary Sheffield, without clubs but with possibilities. It is fascinating that there hasn’t been an “artificial” addition to this list since 1990, given that ten of the first seventeen players to achieve the distinction only did so by coming out of retirement, or at least inactivity. Jack O’Connor was a manager when he did it, Dan Brouthers a scout, Jim O’Rourke a minor league executive, Eddie Collins a never-used player-coach, Tim McCarver a broadcaster, and Altrock, Kid Gleason, Jimmy McGuire, Minoso, and Jack Ryan, all full-time coaches. 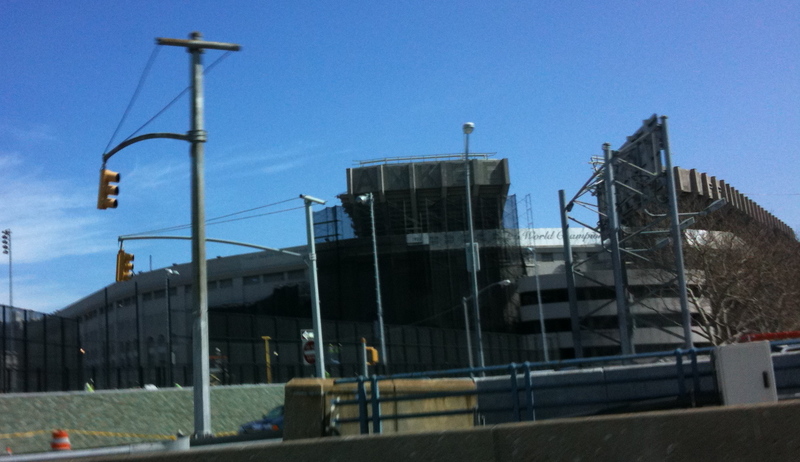 Lastly, as promised – where’d all that original Yankee Stadium stuff go? Well, you have to admit, it gives a home a different feel. 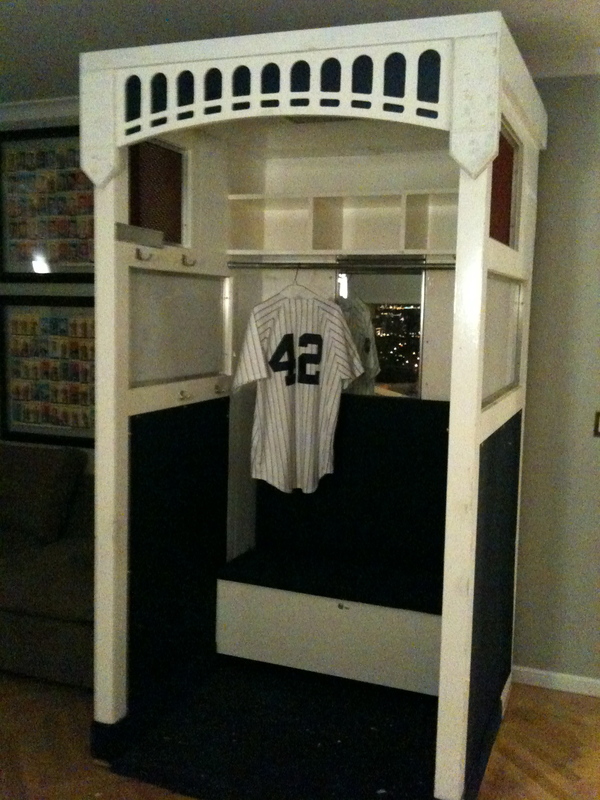 This was Damaso Marte’s locker in 2008, and Mariano Rivera’s earlier.